These natural damar resin crystals are collected from fir trees. Crystals must be soaked in pure gum turpentine to produce traditional Damar Varnish, used on finished paintings as a transparent, removable high-gloss protective coating. These natural damar resin crystals are collected from fir trees. 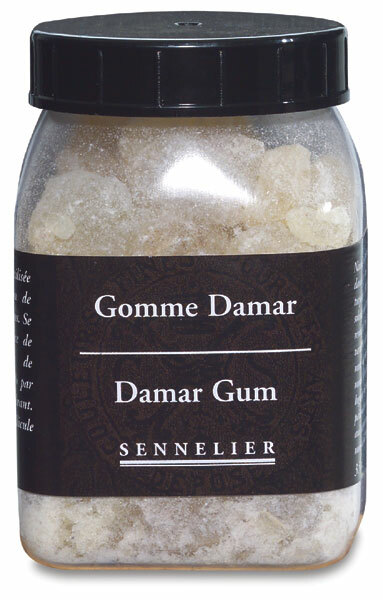 Crystals must be soaked in pure gum turpentine to produce traditional Damar Varnish, used on finished paintings as a transparent, removable high-gloss protective coating. Also useful as an ingredient in medium recipes.